The Department of Film and Television Studies notes with very great sadness that its co-founder, Professor V.F. Perkins, passed away on Friday 15 July 2016. 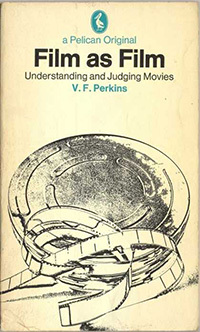 Victor Perkins made an immeasurable contribution to the development of Film Studies in the UK and the English speaking world and will be remembered by generations of students, scholars and colleagues for his compassionate and insightful wisdom, critical insight, and generous spirit of intellectual enquiry. For the very many people who fell under the spell of his work, especially his seminal book, Film as Film (1972), he helped them see and think about the moving image more clearly. Victor's working life and all the friendships which came with it were great sources of joy to him. Details of the funeral and other memorial arrangements will be added here once available.